Mud, sand, snow, rain, hot or sub-freezing . . . this one doesn’t care. One of the first Galil’s I used as an entry weapon was an SAR (5.56mm) with a 13-inch barrel. 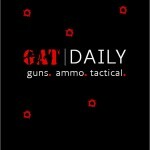 It was the most reliable, short-barreled carbine I ever used. Given the spotty record for short M16s at the time, it was a nice change. Accuracy was typical of military rifles, three inches or so at 100 yards, but man did it run, and it ejected brass into the next county. It was a tad heavy, but handy, and it ran in the worst possible conditions: mud, snow, rain, below zero, hot, dirty you name it. Later replaced by a Micro-Galil using an 8.3-inch barrel, nothing really changed other than it was lighter, shorter and louder. 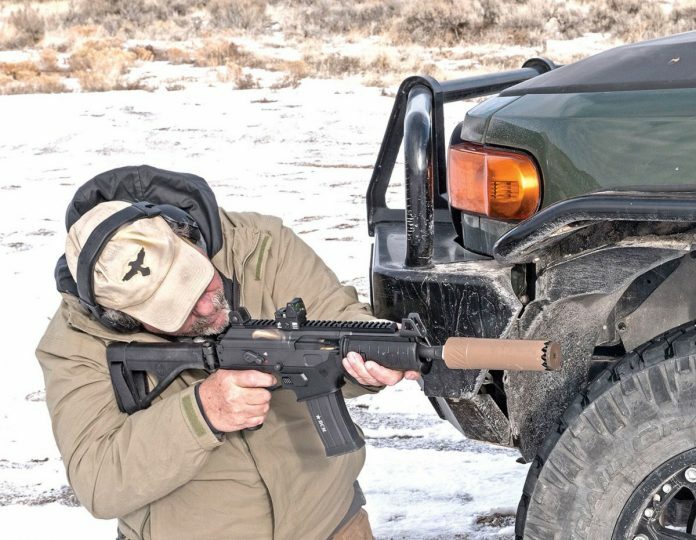 Long before suppressors were common, all the short 5.56mm rifles were brutal during shoot-house training. It was the price you paid back then, and still do today for the most part, but as a dedicated entry or CQB rifle it was excellent. 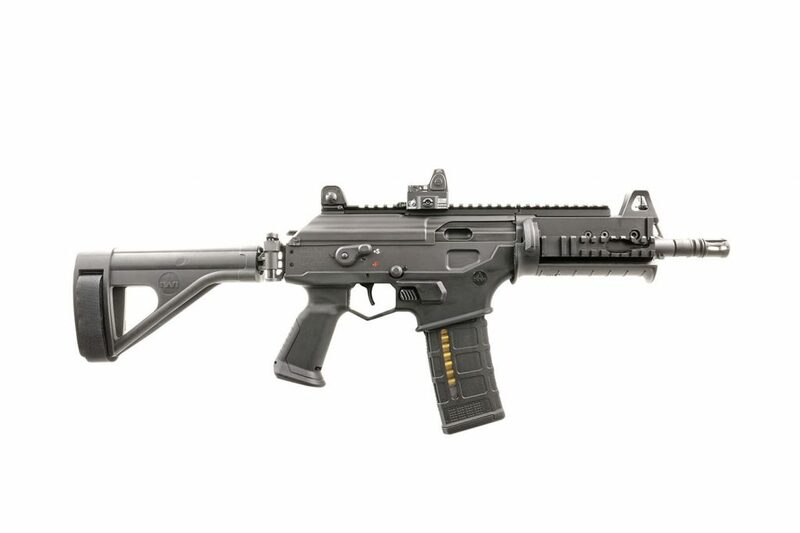 So, when IWI USA introduced the Galil ACE 556 NATO pistol with a stabilizing brace it was of great interest to me. Using the same 8.3-inch barrel, it was like coming home to one of the most enjoyable times of my police career. The reciprocating charging handle rides back and forth over a pivoting cover that keeps dirt and debris out of the action. The ambi safety is manipulated by your strong-hand thumb on the left side. Magazine release is also ambidextrous. 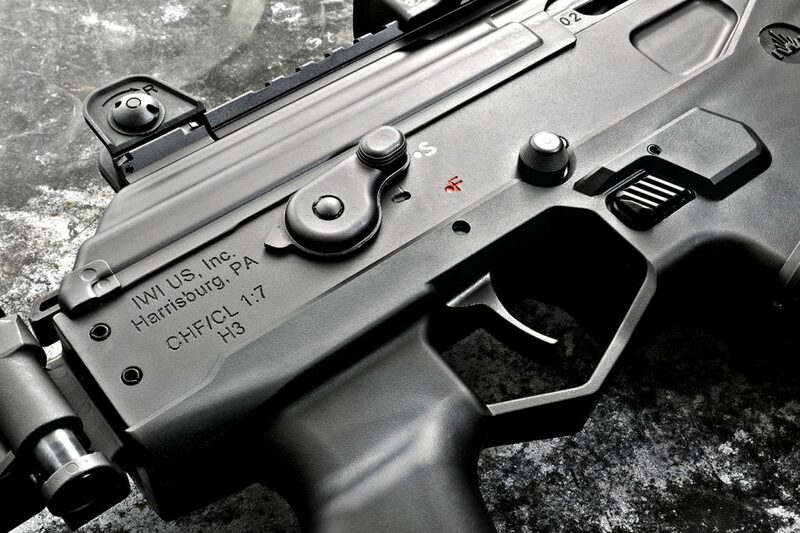 IWI ships the pistol with one Magpul PMAG Gen 3 Window 30-round magazine. IWI offers this weapon in two configurations, both are pistols. You can get it with no brace, or the SB Tactical-designed stabilizing brace. As a Title II manufacturer, I have been slow to “embrace the brace”. Long a fan of short barreled rifles, I still prefer a stock. It remains the best way to accurately deploy a weapon like this. But, given the ATF’s letters allowing you to “unintendedly” shoulder one without going to prison they are growing on me. If you travel, or live in a state where SBRs are prohibited they are nice. 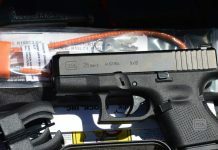 Wind through the maze of concealed carry laws nationwide and it can also be legally carried within reach with a magazine inserted where rifles cannot in many places. Galil’s ACE operating system really lends itself to this, since it will accept a folding stock and can be fired folded, repeatedly if needed. Recoil is minimal with the long stroke piston system, and it has the proven reliability of the Galil rifles. The milled upper receiver combined with a lower receiver made of modern polymer’s work towards keeping the platform strong and rigid without unnecessary weight. The right-side safety lever is operated by the trigger finger, much like an AK. Trigger is two-stage and left nothing to gripe about. 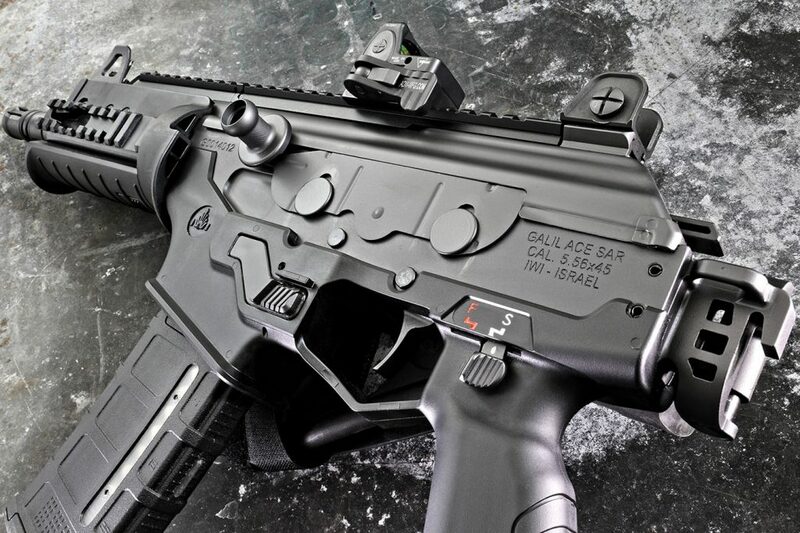 Galil ACE rifles start with a milled steel receiver with a polymer lower section that accepts any AR15/M16 style magazine. A reciprocating charging handle sits on the left, with a dust cover protecting the inner workings from dirt and debris. The two-stage trigger sits in an extended trigger guard for use with gloves. 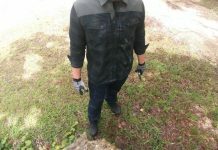 The magazine release is ambidextrous and located similarly to a typical AR. The bolt is designed to hold open on the last round, but there is no bolt release . . . much like the Garand, M1A and AK rifles you pull back on the charging handle to release on a fresh magazine. SB Tactical’s patented and ATF approved pistol brace is used and folds to the right. The safety lever is located on the left side next to the pistol grip and is accessible with your strong hand thumb. The right side is more AK-like and can be operated with your trigger finger like a standard AK rifle. Lefties can adapt to the safety, but its less than friendly.